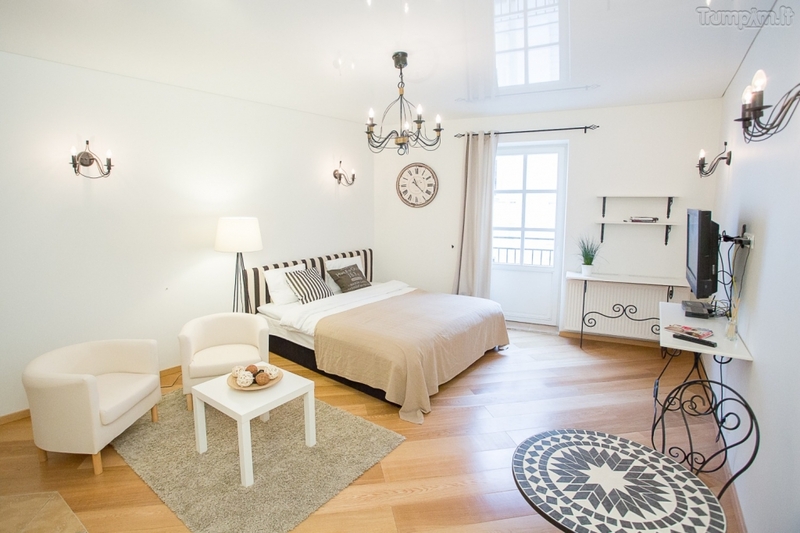 Apartment is located in newly renovated prestigious historical building, perfect for 2, but also good for 3 people. Great place to stay during your visit in Vilnius. This cozy flat is located in historical Unesco heritage Old Town - headquarter Uzupis, where bohemian, artist and famous living. Only 2 minutes walk away from more or less everything you may need: local small shops, bakery's, popular organic market, restaurants, cafés, bars, gallery's, museums, beautiful green park Bernardinai and Vilnius hills (from here you can view most beautiful Old town panorama). Free private parking. Bus station is around the corner. Cathedral square and Town hall just 5 min by walk. Airport - 15 min by taxi. Neighborhood is quiet and safe. 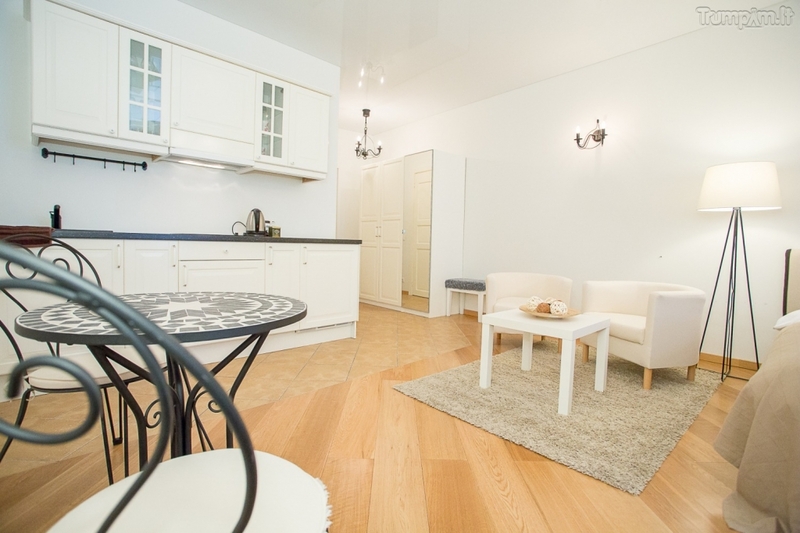 Book Vilnius Apartments & Suites online now, save and enjoy your stay! Apartment is suited for 2-3 people. Guests are welcome from 2 p.m., check-out - till noon (12 o'clock). Another time of arrival can be discussed.